Hey guys! Hope you qll are doing just fine. I’m back her at TheAnimeScrolls with another spoiler post. This post is about My Hero Academia chapter 183. My Hero Academia’s Cultural Festival arc finally started its main event in the last chapter. The Cultural Festival that we were all waiting for desperately finally began, and it was totally amazing to be honest. I didn’t expect an arc about an event to be so good, yet I was taken by surprise in the last chapter. It was evident how much weight it carried emotionally, and why Horikoshi thought that this Cultural Festival was important. As far as the Cultural Festival goes, I loved every bit of Class 1-A’s performance. Bakugo and Jiro in particular were spectacular. I was happy to see Jiro being put under focus in this arc. What’s great about My Hero Academia is that even though there are lots of students out there, everyone gets their deserved screentime. The only problem that the last chapter had was the rough, unfinished art. However, I didn’t mind it all that much. To be honest, I liked it. But for those who didn’t, don’t worry, I think the Volume release will most likely fix that issue. With Eri finally moving past the ghost of Chisaki, Midoriya and Mirio finally accomplished what they wanted to for a long time. Sir Nighteye would’ve been pleased as well. Coming on to the next chapter of My Hero Academia, I think we will see the crowd cheering on Class 1-A after their performance, and it will probably feel like they stole the show once again. Midoriya will be asked about where he was, but I don’t think he’ll tell anyone about Gentle, but I think they’ll find out sooner or later. Gentle will probably reappear in this arc, and I strongly believe so. La Brava’s fate is still unknown, and it will be really interesting to see what really happens to her. I think t next chapter might focus on her a bit, but I may be wrong. Also, it has been a while since we saw what Shigaraki was up to. Maybe it is time that he was brought back into light once again. He’s more dangerous than ever now. His return is highly anticipated, and I think we’ll get to know about him very soon. That is it from today’s post on spoilers of My Hero Academia chapter 183. If you do not agree with the points in the post and have some of your own opinions, share them with us in the comments section down below. 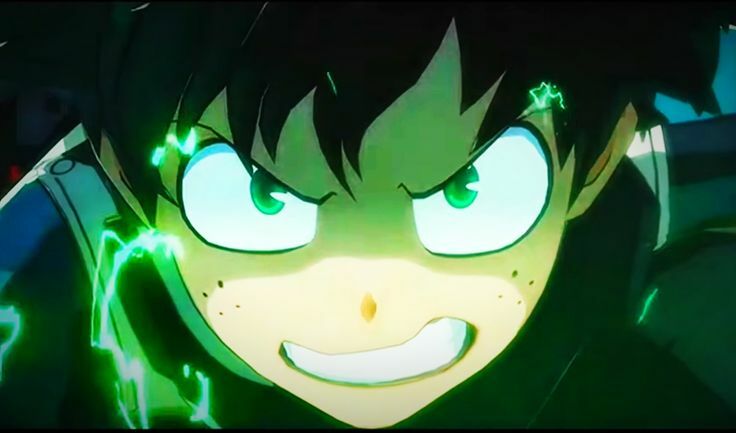 Keep visiting TheAnimeScrolls for more information about Anime, Manga and movies. Tahir Khan is the writer of “My Hero Academia Chapter 183 Release Date, Summary and Details”. Connect with him on Social Media.